A celebration of the food we eat and the land where we live, Meat & Three delivers a feast of delicious seasonal dishes. Over 75 recipes, ranging from classics with a twist to fresh ideas for barbecues, vegetables and salads, provide year-round cooking inspiration. There's even a collection of mouth-watering desserts to savour. 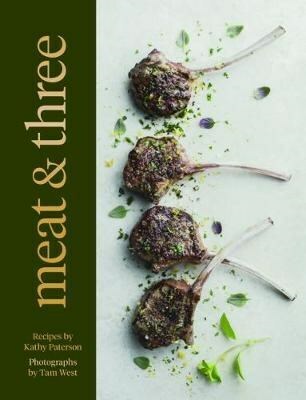 Alongside Kathy Paterson's inspiring recipes and Tam West's stunning photography, helpful hints and tips offer advice on choosing the perfect cut of meat, whether you are grilling, roasting or cooking on a slow simmer. You'll master the art of meat and vegetable cookery with expert instructions on how to prepare everything from the perfect steak or succulent lamb roast to seasonal garden produce. And you'll meet some of the farmers whose families have been growing premium New Zealand beef and lamb for generations.